It’s Tuesday. Thanksgiving is Thursday. Today at work Chef Concetta reminded me that my turkey needs to be in the brine TONIGHT! Yikes. First – what is a brine? 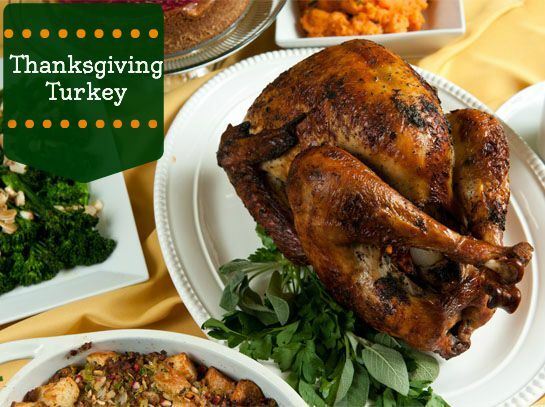 Basically it is a solution of salt, water & herbs that helps keep your turkey juicy & tender. If your household is anything like mine, you have enjoyed 1 too many Thanksgivings with “Turkey Jerky.” When you are cooking something as long as you cook a turkey, moisture loss is inevitable. The salt of the brine will force the meat tissues in the turkey to absorb water & flavorings; a brined turkey will be moist & flavorful. So, start your brine tonight. Or whenever you read this. I figure 15 hours in the brine has gotta be better than none! Second – when we tested Chef Concetta’s Thanksgiving Menu in Garden Cut, it was hands down the best turkey dinner I have ever ate in my life. I know I often say “make recipes your own” – but trust me, this recipe is perfect. Just duplicate it & you will be the proud star of Thanksgiving Dinner. Dissolve the salt and sugar in the liquid in a large stockpot. Add the rest of ingredients and the turkey. Place in refrigerator for 24 hours. Remove the turkey from the brine and rinse with cold water. Pat the turkey dry with paper towels. Combine butter, salt, pepper, and herbs in a bowl and mix together. Carefully rub the herbed butter underneath the skin of the turkey and then on top of the skin. Place the shallots, carrots, and celery into the cavity of the turkey. Truss the turkey. Put the turkey on the roasting rack and place in the roasting pan and place in the refrigerator uncovered for 8 hours or overnight. Pull the turkey out of the refrigerator. Pour 2 cups of chicken stock into the bottom of the roasting pan. Place in oven and roast for 40 minutes. Baste turkey and turn temperature down to 350 degrees F. Continue to baste every 20 minutes. Add more stock if needed. Cook for another 1 hour to 1 hour and 30 minutes or until temperature reaches 165 degrees F when inserted into the thigh meat. Remove from the oven and place on a craving board and tent with foil. Let rest 20 minutes. Save the drippings in the bottom of the roasting pan to make a gravy.